The nomination lists presented by the Mahinda faction of the SLFP to Panadura Municipal council and Agalawatta Pradeshiya Sabha from Kalutara district have been rejected say reports. It is reported that nomination lists presented by the Mahinda faction of the SLFP to contest the forthcoming Local Government election from Maharagama Municipality, Badulla Pradeshiya Sabha, Mahinyangana Pradeshiya Sabha and Weligama Urban Council have been rejected. 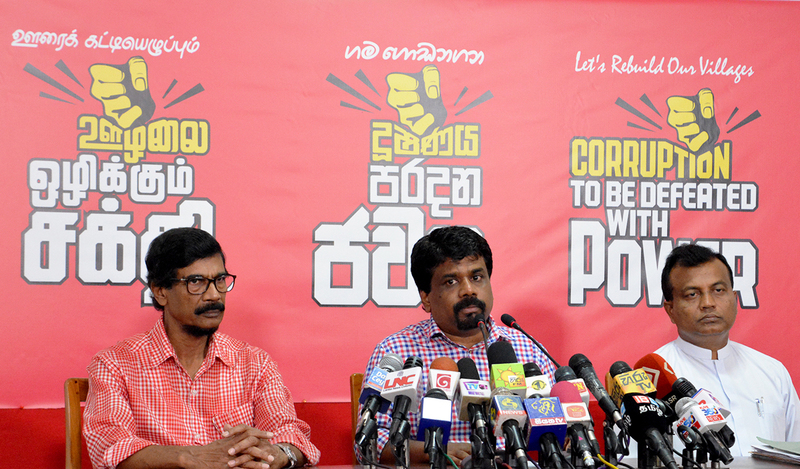 The nomination list for Weligama UC has been rejected as the authorized representative from the party had not presented the nomination paper. The period to accept nominations for 93 local government councils for the forthcoming Local Government elections close at noon today (14th). Accepting nominations commended on 11th December and the date of election would be announced today. Accepting bonds for the local government bodies ended at 12 noon yesterday. The budget of the Southern Provincial Council for the year 2018 has been passed by a majority of 41. All the Members of the UNP and the UPFA have voted for the budget and only the Members of the JVP have voted against it. 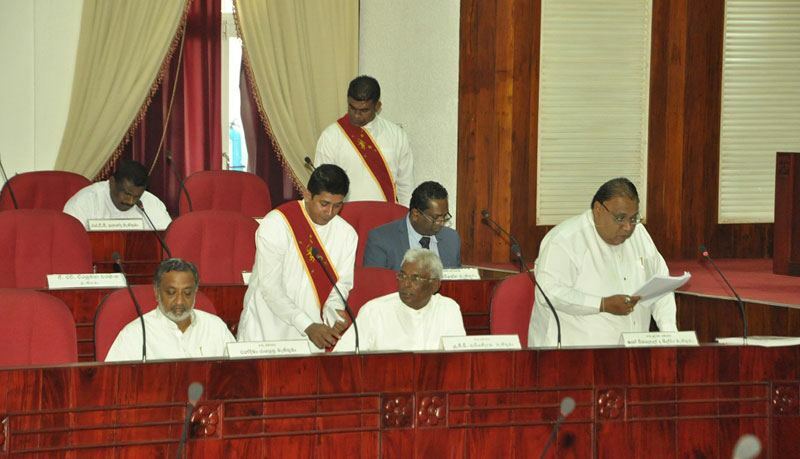 Members of the Mahinda faction too have joined the UNP and Miathri faction to vote for the budget. The Chief Minister for Southern Provincial Council Shan Wijelal de Silva presented the budget to the Southern Provincial Council and the vote was taken after debating it for two days. According to the budget, the total expenditure for the Southern Provincial Council for 2018 is Rs. 33911.5 million but the annual income would be Rs. 33411.4 million. The budget deficit is Rs. 500.1 million. The indictments filed against Mr. Mahindananda Aluthgamage, former Minister of Mahinda Rajapaksa regime, for allegedly purchasing a house worth Rs.27 million at Kynsey Road, Colombo 7 and other properties he had allegedly purchased through illegally acquired money were read out to Mr. Aluthgamage at Colombo High Court yesterday (13th). Mr. Aluthgamage, through his lawyer, informed High Court that his client was not pleading guilty to the charges. High Court Judge Gihan Kulatunga fixed the trial for today. When recording evidence in High Court yesterday the Attorney General alleged that the accused has failed to disclose how he was able to raise the money for the purchase of the house and further alleged that he had committed an offence that comes under Section 3 and 4 of the Prevention of Money Laundering Act. the convener of the Voice Against Corruption Wasantha Samarasinghe filed the complaint that the former Minister had committed financial irregularities. Railways trade unions Department of Railways have decided to end the strike action that continued for 6 days. The trade unions have taken the decision to end the strike action after having discussions with the committee headed by Minister Sarath Amunugama say reports. The strike action based on salary anomalies issue was begun by several trade unions of the Railways Department on the 6th. Auditor General Gamini Wijesinghe has said that Sri Lanka, having enjoyed 70 years of parliamentary democracy, should be ashamed to have been called one of the four countries unable to govern. As a result, the US has proposed a Resident Legal Advisor based in the island as the country has been put among a group of nations categorized as corrupt. Sri Lanka has been categorized along with Nigeria, Ukraine and Tunisia as the most corrupt countries in the world. A report released by Transparency International, the global movement against corruption, ranks countries according to the perceived level of public sector corruption and Sri Lanka was ranked at 95 out of 176. In 2015 Sri Lanka was ranked 83rd. However, those countries were not offered a Resident Legal Advisor. The Attorney General states had governments that ruled the country followed basic laws and brought in required new legislation, Sri Lanka wouldn’t have ended up in this situation. He said Sri Lanka should take meaningful measures to tackle corruption without further delay and without finding fault with the international community. He also blamed the government for not bringing in the National Audit Bill. The Auditor General said efforts to convince the Ranil – Maithri administration of the urgent necessity to enact the National Audit Bill failed. He said the US decision to propose a Colombo-based Resident Legal Advisor a slur on every honest Sri Lankan. Depositing of sureties for 93 local government councils is scheduled to be ended at noon today (13th). The depositing commenced on 27th November and accepting nominations for the 93 councils will end tomorrow (14th). An independent candidate has to deposit a surety of Rs.5000 while the surety a candidate of a political party has to deposit is Rs. 1500.